Welcome PNE Corp to DWEA! PNE Corp. was founded in 1989 with a vision to lead in construction, commercial electrical, industrial services and environmental solutions. PNE Corp. National headquarters is located in Longview, Washington and operates in national and international markets with seven different divisions offering diversification, strategic growth, and collaboration. PNE provides solutions across a wide range of industries and technologies. PNE is a recognized innovator in design build projects, especially in the Distributed Wind arena. 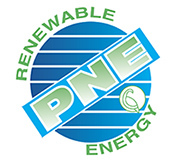 PNE Renewable Energy has completed design build wind projects for The Army Corp of Engineers, Universities, The U.S. Department of Labor, and others. Our network of experts reduce capital costs by streamlining the design, procurement, and construction processes. Our twenty five years of experience in logistical planning on projects across the United States has made us experts in managing and executing complex jobs. PNE’s Renewable Energy Division installed a 1MW wind turbine at the AUTEC Naval Facility on Andros Island in the Bahamas. This project presented incredibly difficult logistical challenges. All tools, machinery and parts had to be barged to the island from south Florida as well as from international locations. Even the rock for the site had to be barged in. The mobilization of the crane and other heavy equipment was only one of the many difficulties this project presented. Extreme weather conditions, limited local resources, and exacting mechanical and electrical requirements made this installation a challenge by any standard. 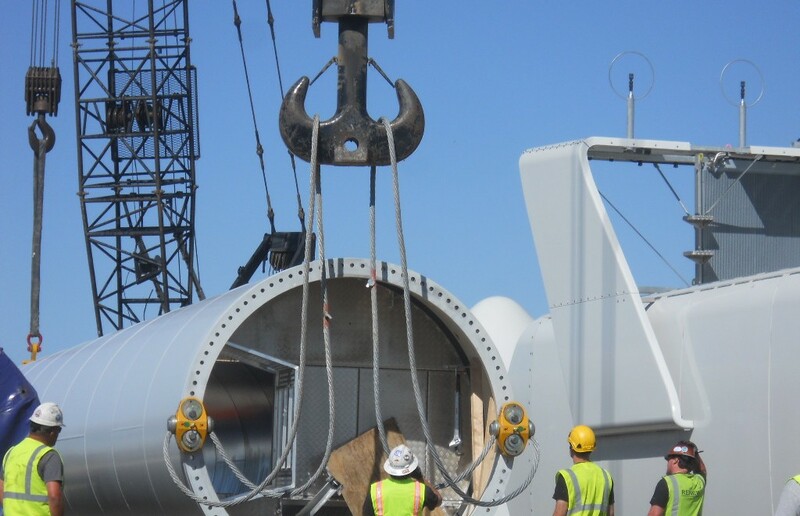 Before this turbine was installed the Navy base was dependent on four diesel generator for all of their growing energy needs. The energy produced from this project will help the Navy not only meet the increased clean energy requirements from the federal government, but also help them to reduce their cost of electricity and increase their energy independence and security. PNE Corp has helped FHSU save up to an estimated $1 million per year with the installation of the first two V100-2.0MW VCSS to be constructed in North America. Built off of a proven 2MW platform, the new turbines use Vestas’ latest technology. Unlike many turbines of this size, each blade had to be craned independently and installed onto the nacelle over 400ft above the ground. In addition to the turbine installation, PNE constructed 3.5 miles of underground transmission cable as well as fiber-optics for monitoring and system controls so the university can provide electronic load management and automation. The university will also be able to further maximize the energy they produce by managing excess power and electricity exportation based on demand and time of day. FHUS is developing a renewable energy educational program to coincide with their wind system and will soon be integrating two 1MW battery cells to support their on-site micro grid.